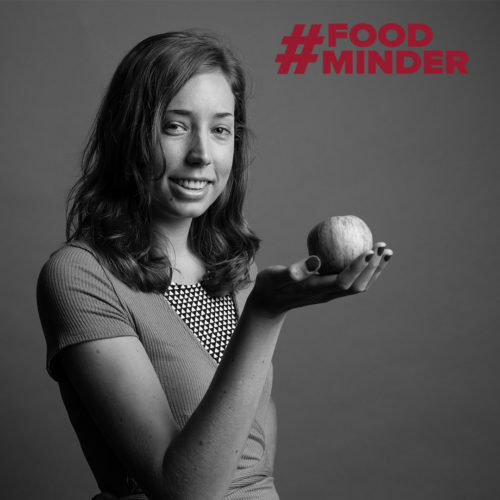 Carla is an assistant account executive at FoodMinds in San Francisco, helping to provide consulting and communications services specializing in harnessing science, public affairs, food values and communications to meet business and public health objectives. Carla earned her bachelor’s degree in Environmental Science from the University of California, Santa Barbara and her master’s degree in agriculture and food policy from Tuft’s University. The ability to consistently challenge myself intellectually and creatively for client projects. I’m passionate about the convergence of food, nutrition and sustainability and my role allows me to really dig into all of the topics! And being surrounded by talented and passionate colleagues is a huge plus. Backpack the John Muir Trail (a 211-mile long stretch from Yosemite Valley to Mt. Whitney). Rent or own a place where I can have my own backyard chickens. Visit Nepal and hike to Everest base camp. I’d love to be a food sourcing specialist for a cafe or set of restaurants! I think it would be so rewarding to visit local farms and help decide what foods would be a part of the menu – all while keeping seasonality and sustainability in mind. Thai cuisine. I grew up outside of Seattle and my family would always take my younger brother and me to this Thai restaurant that had the most delicious Pad Woon Sen (stir-fried glass noodles with egg and veggies), Pad Thai and yellow curry. This borderline obsession with Thai cuisine has carried into my older years! I’ve tried making my own Thai dishes at home, but usually just end up grabbing take-out at my go-to spot in the Bay Area. I was in AmeriCorps my first year out of college! During this whirlwind year I taught environmental science to K-12 students in Rhode Islands – and many of the lessons were on an educational vessel in Narrangansett Bay! This was also when my interest in food and agriculture really peaked because I realized so many kids (and adults for that matter) had little awareness about food production.